Maple is also Known as Hard Maple or Rock Maple, is found in United States and Canadá. It has a steady a production and export. The sapwood is white with reddish colouring, and the heartwood is reddish brown pale. Maple has a straight streak, but sometimes can be curly. The grain is easy to recognize and it is highly characteristic of the species. All this makes of American Maple a highly decorative wood. Its main characteristic is its shock resistance and abrasion resistance. 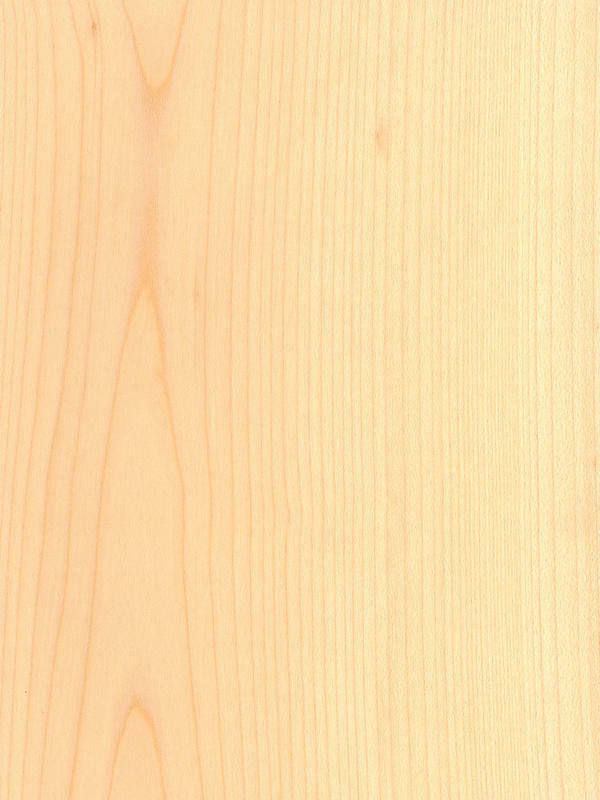 Due to this, Maple has several uses such as paper, plywood, high pressure laminate (HPL) and MDF, our products can be used in edgings, wall panels, fixtures, door, cabinet, desk, and other interior decorative or architectural use. This hard property makes of USA Maple a quite difficult wood to machine, but it is a very good choice for decorative veneer. With this veneer you will reach warm, intimacy and harmony. Maple bright tone can get that a dark room looks like sunny and create, that way a quiet and cheerful environment. Maple Usa Veneer provides your project with a gain space sensation and will contribute a contemporary look to your furniture design.